The Smurfs are back April 7th in the new movie The Lost Village! I'm so happy to share with you a sneak peek trailer and a chance to win two tickets to see the movie! Be sure to visit SmurfsMovie.com for lots of fun information including downloads, trailers, meet the characters and so much more! 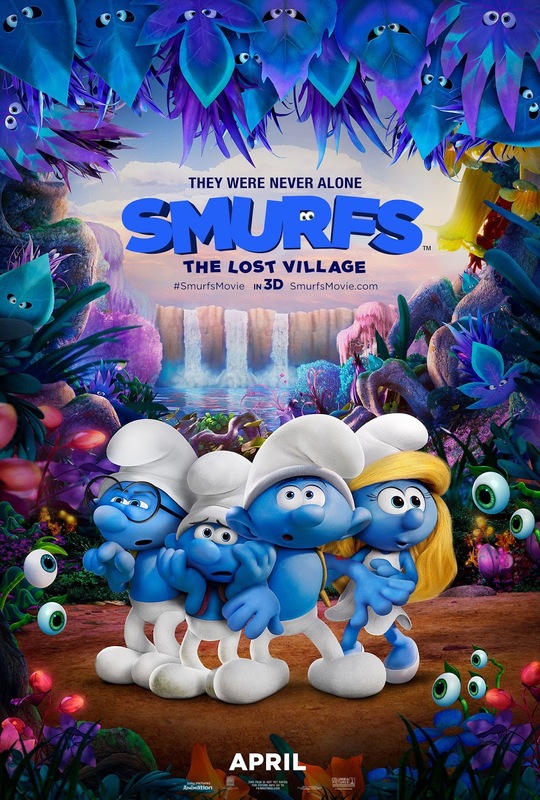 One lucky reader will win Two (2) Fandango ticket codes, redeemable for SMURFS: THE LOST VILLAGE. I like Daniel and the Lions Den. Thanks so much for the chances to win. My favorite story is Noah's Ark. I like 1 Corinthians 13:4-8 because it tells you what exactly real love is.